Choosing a grant writer can be difficult, you see, grants are similar to UFOs; everyone has heard of them but very few have seen one in action. And those that have seen them are kind-of suspect characters. Yet we’d all like see if they are real. Most of the people we talk to at Easy Grants have never applied for a grant or know how to find them. They are doing internet searches for terms like “grants for non-profits” or “grants for healthcare” or “grants for small businesses” and the searches are bringing back way too much information. Many have clicked on a few grant links and started digging around and they start gasping for air at the thought of filling out all that paperwork. It’s like that time you thought you could fill out your own tax return. Most will decide half-way through writing the grant we’d rather bring in reinforcements. So the search for a grant writer begins but how do you know which one to pick? * They are going to be up close and personal with you. You need to give your grant writer things like tax ID numbers and financial information so there should be a comfort level. * They need to be good listeners. Most people/groups are looking for grants to help them solve a problem and they are doing hard work for not enough pay. It’s important for you to get your grant writer on the phone and interview her/him. Do they constantly interrupt? Do they understand your core business? Can they see your vision? * They can only help you if you communicate well enough. We’ve all had a bad haircut. Or maybe the color we thought we were getting didn’t turn out right. Could that have been because we didn’t communicate what we wanted well enough? We can’t just say “make it lighter and color it how you think I’d like it” and then get upset when it turns out wrong. * They can’t promise you’ll love your new doo. Any grant writer that promises you they will get you a grant isn’t telling the truth. Unless they are the one who writes the checks for the foundation or the government, they can’t guarantee anything. From your perspective a good question to ask would be “So, how successful are you at getting grants? What’s your hit rate?” Here is something to keep in mind and why that question is difficult to answer. Have you heard the expression you can’t make a silk purse from a sow’s ear? 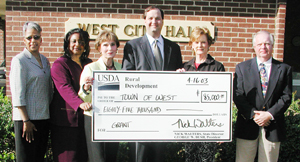 Many times the winning grant application is based on facts and stats. For example, you get 10 points if your non-profit is located in a low income area and only get 5 points if it’s located somewhere else. If another grant is chosen because they got more points your grant writer can’t control those facts. I’ve seen grants lose out because their financials were not in order. An important question to ask your grant writer is why they think you have a shot at getting the grant. They should have an idea of a specific grant (or grants) that fit your needs before you hire them. Can you pay for the grant writing? All of these questions are some you might consider as you try to choose a grant writer.